Former Denver Bronco and Indianapolis Colt quarterback Peyton Manning helped promote American football in China on Wednesday, meeting young aspiring players ahead of the launch of the country’s new league. Manning, who retired after steering the Broncos to Super Bowl victory in February, is visiting the country ahead of the start of the China Arena Football League (CAFL) this weekend. 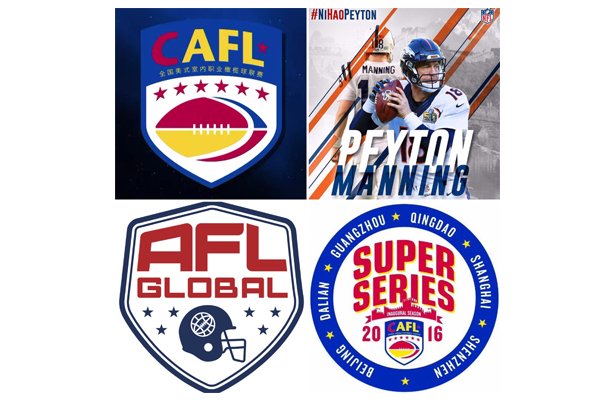 Coaching at a quarterback clinic in Beijing, Manning said there was great potential for the CAFL to succeed. The league has six teams competing in its inaugural season. “I think once people can learn the rules, learn of the strategies and game planning and mental and cerebral part of football – once they learn that and appreciate that, I think they would have more of an interest in the game,” he said. The inaugural season of the CAFL starts on Oct. 1 in Beijing and culminates in a “The China Bowl” final in Shanghai a month later. Newer → TIME Magazine Feature: Pro Football Is Coming to China. But Will the Chinese Care?